We are the manufacturers of Clariflocculators. Clariflocculators are combination of both flocculation as well as clarification. With this, the installation of plant becomes economical and faster. All these clariflocculators are best suited for water treatment plant, waste treatment plant and effluent treatment plant. Available as centre driven and end driven models, these clariflocculators consists of concentric circular compartments. NISHU ENTERPRISE offers an effectual range of Effluent Treatment Plants for recycling of wastewater to reduce water demand. The comprehensive treatment solution works at various levels and involves various physical, chemical, biological and membrane processes. 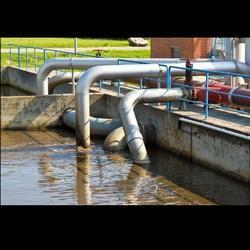 AGUAPURO also provides effluent treatment solutions for various types of industrial waste water. Customized systems to suit the wide variety of effluents and to maintain efficiency are provided to industries. These systems include physic-chemical treatment, biological treatment, tertiary treatment and membrane separation process to achieve the zero-discharge standards laid by statutory authority. We provide innovative and economical systems for waste from industries like chemicals, drugs, pharmaceutical, refineries, dairy, ready mix plants & textile etc. We are the manufacturers of Sewage Treatment Plants. We offer Sewage treatment of various capacity that includes Packaged type or custom made type designs. Sewage treatment or domestic Wastewater treatment is the process of removing contaminants from waste water and household sewage, both runoff (effluents) and domestic. It includes physical, chemical, biological and tertiary processes to remove physical, chemical and biological contaminants. 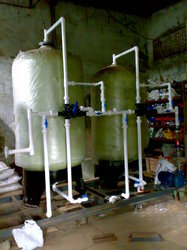 Its objective is to produce a waste stream (or treated effluent) and a solid waste or sludge suitable for discharge or reuse back into the environment.. Nishu Enterprise offers aerobic system with different Aeration options like Extended Aeration System, Moving Bed Bioreactor (MBBR), Submerged Aerated Fixed Film (SAFF), Membrane Bioreactor (MBR) and anaerobic system with Up-flow Anaerobic Digester. We are the manufacturers of Water Clarifier. Clarification is the process to remove suspended solids from water. It is the economical and an essential part of effluent treatment plants and other raw water treatment plants. Depending upon the plant, the clarifiers are available in wide varieties of shapes. 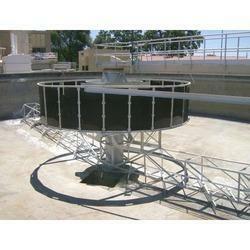 In large scale wastewater treatment facilities, large circular open-air clarifiers are preferred. The clarifiers operate on the principle of gravity-separation. The separate solids would flow downward and settle on tapered floor. 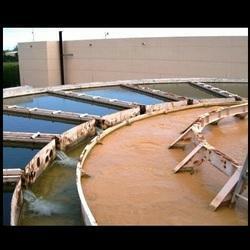 Looking for Sewage Treatment Plant and Clarifier ?